Peter and Chris responded very quickly to all emails and the booking process was very straight forward with comprehensive information provided. Located in a quiet area but within easy walking distance to all amenities.The apartment is very clean, comfortable and well equipped with everything you need and the lovely welcome pack was very much appreciated. There is english tv and a large selection of books, dvd's and cd's. There is a large balcony to relax and dine on with views to the sea and port. I definitely hope to make further visits to this ideal apartment. We try hard to make sure that our guests have an easy trouble free reservation experience and that when they arrive the apartment delivers a quality holiday so that they want to visit again. 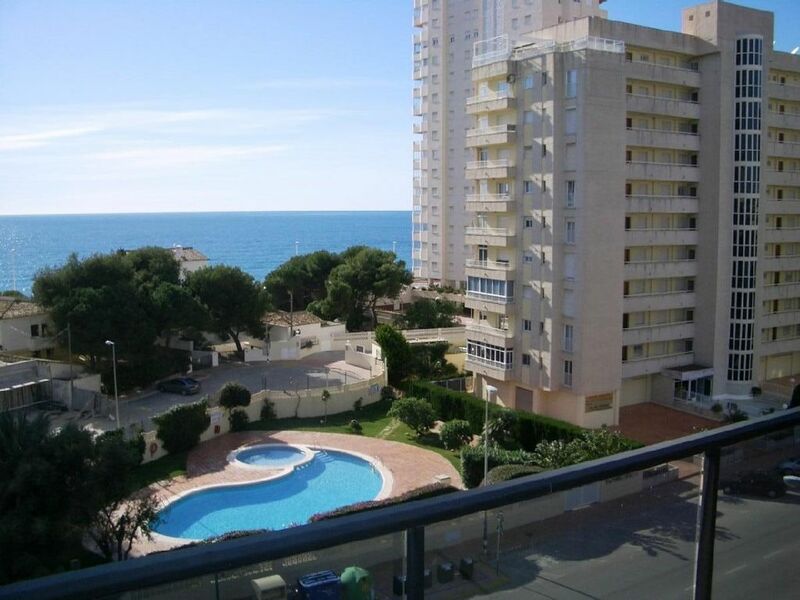 Beautiful apartment, fantastic balcony, well appointed, well maintained & superb location with excellent sea views. It was lovely & clean when we arrived and a very nice touch was the generous welcome pack awaiting us. Great to be able to get comprehensive Sky package. Excellent restaurants abound within easy walking distance and there are 2 beautiful promenades & beaches just a few minutes away. Calpe is an attractive bustling town with a great Saturday street market & good flea market on Wednesday both within easy walking distance. We will certainly recommend this apartment to family & friends and we will hopefully return ourselves in the future. My wife and I have a lot of experience of renting apartments in Spain and in all that time we have never had a more perfect apartment it made for a wonderful holiday. I would recommend everything about it from the beautiful views from the terrace to the beautifully appointed interior. Thank you for arranging collection from the airport and the welcome pack which was so perfect to get our holiday off to a great start. We will be definately returning again soon. I stayed here at Christmas and what a lovely apartment, one of the cleanest and well equipped that I have come across. the whole block is very nice and well cared for. The apartment is very comfortable, good TV, good quality furniture, even supplying toilet rolls, kitchen roll, bin bags, washing up liquid etc etc, plus the welcome pack when you arrive. as it was Christmas we needed the central heating on a few times and again it was excellent. Excellent location too, car not needed once you are here, great restaurants and bars near by and cater for all types of people and tastes. I can only say good about the apartment, the place and the people EXCELLENT!!!!! A big thanks to Peter & Chris for the use of their wonderful apartment it was everything we could have asked for including the UK tele! It was our first visit to Calpe and we loved it. The first thing we did when we got home was to check out the flights for a winter break! A simple review of your apartment... Excellent we have no hesitation at all in recommending it to anyone looking for a quality accommodation in Calpe - look no further! Thanks for everything we'll be back next year.